In the wake of another horrific ambush of police officers earlier today in Baton Rouge, Fox News anchor Shepard Smith was actually arguing with the Governor of Louisiana a few minutes ago. He was saying, in essence, that no one has a clue as to how to stop this madness. I beg to differ, Shmuckard, I mean, Shepard. How about electing a President who actually treats people by the content of their character, not the color of their skin? Who waits until facts emerge before opining on law enforcement issues? The President of the Cleveland Police Union put it bluntly today, stating that "President Obama has blood on his hands." 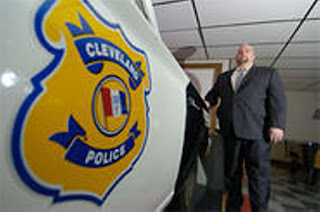 Detective Steve Loomis, President of the Cleveland Police Union, was interviewed on Sunday on Fox News. He described the situation that began with Alton Sterling. The president of the United States validated the nonsense and false narrative that the Black Lives Matter and the media spewed with his divisiveness, he said. The detective called for someone to put an end to this. It’s “insane” that a governor of Minnesota and a president of the United States made the statements they made one day after the police-involved shootings, the union chief said. They absolutely and directly triggered these senseless murders of law enforcement officers throughout this country. “It’s reprehensible”, he added. They have politicized the false narrative and the president has “blood on his hands” and it “will not be washed off”, Officer Loomis said. Officer Loomis wants to know how police officers became the bad guys. We have celebrities and athletes spewing venom at them. A false narrative has been handed down from the White House all the way down the offices of government to inflame racial tension. From the New Black Panther voter intimidation case, to "the police acted stupidly", to calling America "a nation of cowards", this president and his administration have done their very best to sow racial division, discord, and civil unrest. All is proceeding as they have planned. Sheep is as dumb as a box of doorknobs. Whining to Jindal and asking him why he continues to use "that offensive and divisive" term of "All Lives Matter". He really has gotten pathetic over the last several years and should be given his walking papers. That is when he decides to show up for work.